Graag informeren wij u, over de vrijlating van de Loterías y Apuestas del Estado promotieprogramma, Gehouden op 08 Januari 2018.internationale participatie bevorderen en stimuleren, in onze internationale high stake loterij. Uw naam is gekoppeld aan het serienummer van het ticket:134-03650116-213.Referentienummer: CPA/088/272/EU/ESP. en batchnummer: 51225-2016, gekocht door uw schaderegelaar voor twee euro, dus, het winnen van de prijs in de 2e categorie met het winnende nummer: 04-13-21-27-36 -38 : 45. Onze excuses voor de late melding, het was vertraagd vanwege een aantal achternamen en adressen. Echter,je bent goedgekeurd voor een forfaitaire som van €920,000.00. (Negen honderdtwintigduizend euro) in contanten bijgeschreven op bestandsbeveiligingsnummer: CPASWD-547-K6-75. Dit is van een totale geldprijs van €35,609,027.00 (Dertig vijf miljoen,zeshonderd en negenduizend,zevenentwintig euro) gedeeld tussen de 14 internationale winnaars in deze categorie. Hartelijk Gefeliciteerd!!! It seems scammers are trying spamming in different languages with the help of free tools like Google Translate these days. This time they tried the same old Lottery scam and target the Dutch people (there is some untranslated Spanish in there also?! Maybe they spammed a Spanish translation first). We would like to inform you about the release of the Lotteries and State Bets promotion program, held on 08 January 2018. promote and stimulate international participation in our international high-stake lottery. Your name is linked to the serial number of the ticket: 134-03650116-213.Reference number: CPA / 088/272 / EU / ESP. and batch number: 51225-2016, bought by your claims representative for two euros, so, the winning the prize in the 2nd category with the winning number: 04-13-21-27-36 -38: 45. We apologize for the late report, it was delayed due to a number of surnames and addresses. However, you are approved for a lump sum of € 920,000.00. (Nine hundred and twenty thousand euros) cash credited to file security number: CPASWD-547-K6-75. This is from a total cash prize of € 35,609,027.00 (Thirty five million, six hundred and nine thousand, twenty-seven euros) shared between 14 international winners in this category. Congratulations!!! Scam alert! The E-mail above is a SCAM. 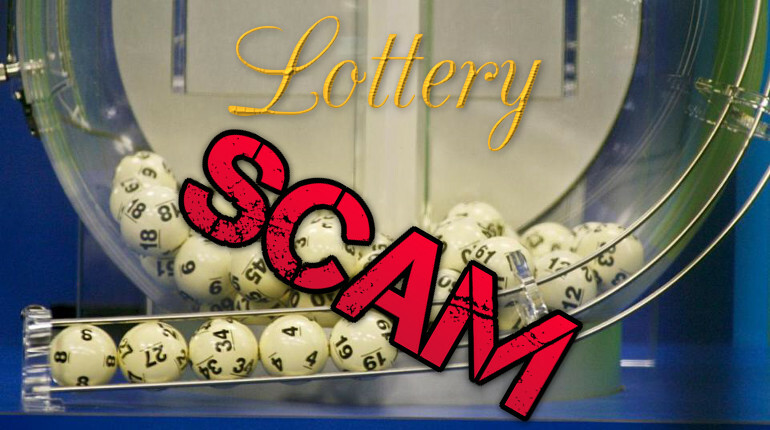 It’s a Nigerian Lottery scam, the story and all names & roles are fake. The scammers will most likely ask you for money upfront as ‘costs’ before you get your ‘prize’ (which you will never get offcourse). If you’ve received this by e-mail than mark it as SPAM (if possible) and/or DELETE it. Please comment below if you have received this message but with a little difference etc.